D & M Communications offers a full range of cable installation services. We have the experience and comprehensive knowledge in the designing and installation of voice and data networks. Our strengths are voice and data network cabling design, timely installation and a quality work product. We pride ourselves in being able to provide technical support to our clients while taking the mystique out of cabling installation issues. 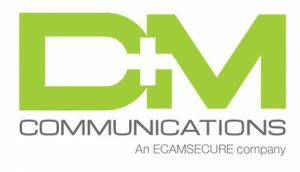 D & M Communications can assist your company with voice and data installations, fiberoptic backbones, racks, patch panels, testing and certification of networks. We use equipment only from the most respected and proven names in the industry, like those listed below. D & M Communications guarantees it’s solutions and work product are up to the latest in emerging technology standards.